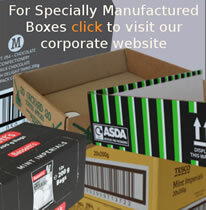 Can be taped or glued and the innovative design allows adjustment for a snug fit around the wrapped product. The metric sizes (W x L x H) indicate the ideal product size to wrap. Product codes with X have an extra heavy outer card.